Part 1 and Part 2 of the GMC’s Children’s Book Christmas Newsletter are now complete. Now we bring you Part 3. GMC weren’t wrong when they said it was a “Bumper Edition“. I’ve already spotted a couple of Christmas presents as I add them, take a look and see if you can complete your Christmas list with a book from the GMC Collection. More than ever, today’s parents are deeply concerned with giving their children a strong spiritual foundation. And prayer is an integral part of that religious education. Inside this rich, stunningly designed anthology—now in paper—are a variety of prayers from many cultures and faiths that speak directly to children’s concerns and understanding. They’re made for morning, evening, and bedtime; for the whole family to recite together; and to give thanks and celebrate peace. Baa Baa Black Sheep, have you any . . . songs? Children love to sing and be sung to, and these perennial tunes are always top the kids’ hit parade. Little ones will love the repertory that includes “I’ve Been Working on the Railroad,” “Pop! Goes the Weasel,” and “Row, Row, Row Your Boat.” And some—like “Itsy Bitsy Spider,” “Pat-a-Cake,” and “If You’re Happy and You Know It” are more than just fun: they develop physical dexterity and teach parts of the body, too. 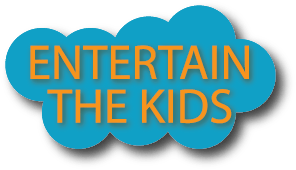 All the songs are great for entertaining restless youngsters on car trips, during play dates, or on a rainy day. All kids dream about what they’ll be when they grow up—and this fun book, with its guessing game format, introduces toddlers to different professions. By listening to the clues in the text and looking closely at the illustrations, children try to figure out whether the person hidden under the flap is a doctor, lawyer, teacher, fireman, cop, or vet. A final spread shows everyone together! Adapted from the perennially popular folktale, first published by the Brothers Grimm in 1812, this engaging version of The Elves and the Shoemaker features uniquely compelling and otherworldly illustrations by Kirill Chelushkin. What will the poor cobbler and his wife do? They have just enough leather to make one last pair of shoes. Then, good fortune suddenly smiles upon them. While the shoemaker sleeps, someone fashions the most perfect pair of shoes imaginable—and a delighted customer pays twice the asking price. Who could have done such marvelous work? And will the magic continue? A captivating story that children are sure to enjoy. No money? No problem! In this sunny, funny western-style take on the famous folktale “Stone Soup,” two penniless but wily vaqueros (cowboys) trick a whole town into cooking a giant pot of stew for everyone to share. David Davis’s deliciously colourful language and Ben Galbraith’s delightful illustrations make this picture book a tasty confection. John Cech retells this popular story with humour and warmth, adding plenty of entertaining details and bringing in some less familiar elements, too. (For example, when Jack escapes for the last time, the giant’s wife comes along with him, and becomes his mother’s good friend.) And Robert Mackenzie’s art captures all the magic of the huge beanstalk and the giant’s oversized world up in the clouds.